The use of contrast enhanced ultrasound (CEUS) in adults is well established, with experience worldwide exceeding 20 years, with numerous studies and guidelines confirming the efficacy of the technique. Until recently, there has been no license for use of ultrasound contrast agents (UCA) in children, however, many practitioners, particularly in Europe have used UCA off label in children with favorable findings. 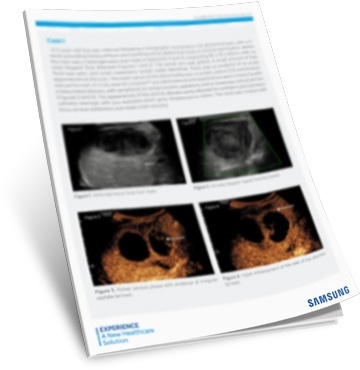 The following case studies will exemplify the usefulness of CEUS as a problem solving tool for pediatric focal liver lesions, forgoing the need for further CT or MR imaging.